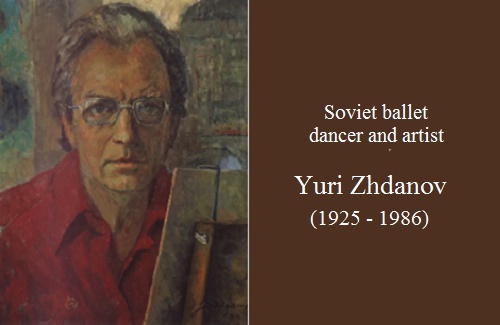 Soviet ballet dancer and artist Yuri Zhdanov (1925 – 1986) – member of Union of Artists of the USSR (1964), Peoples Artist of the RSFSR (1967). 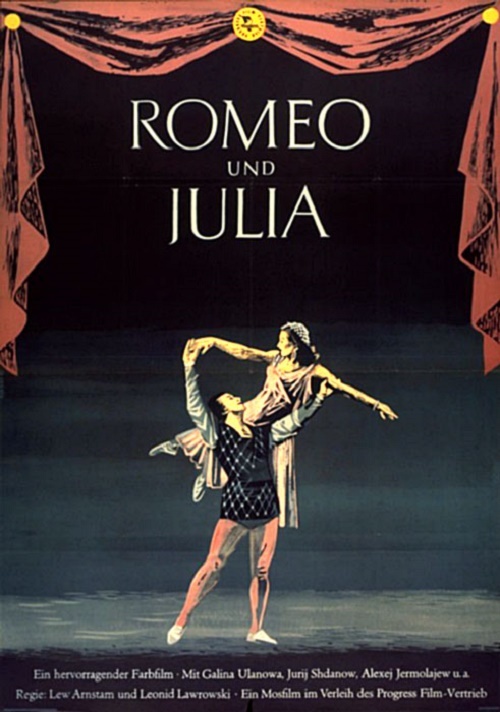 Those Soviet viewers who saw the ballet Romeo and Juliet at the Bolshoi Theater, with the famous Galina Ulanova in the title role, can be called happy. 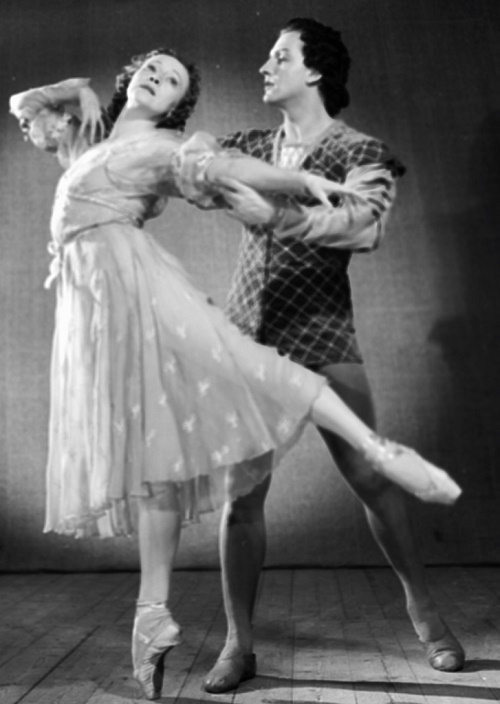 Partner of Ulanova was Yuri Zhdanov, performing in the role of Romeo, hitting a brilliant technique, broad movements and high artistry. 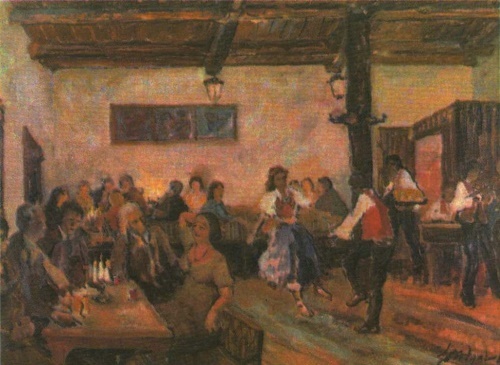 In those years, few people knew Zhdanov to be a talented painter. 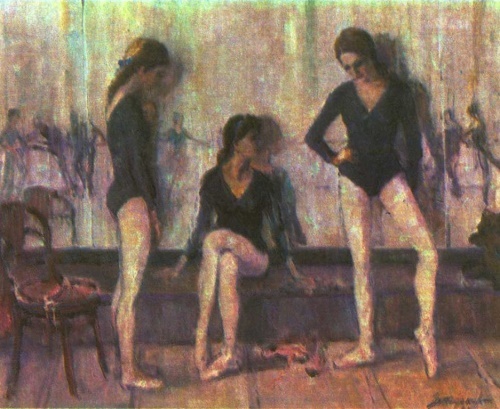 Many years later, Soviet ballet dancer and artist Yuri Zhdanov was not on the scene, but at the easel – in his studio, full of sketches, drawings, and paintings. Yuri Zhdanov spent his childhood in Moscow region. Strong, energetic boy loved sports, was the first in the competitions. 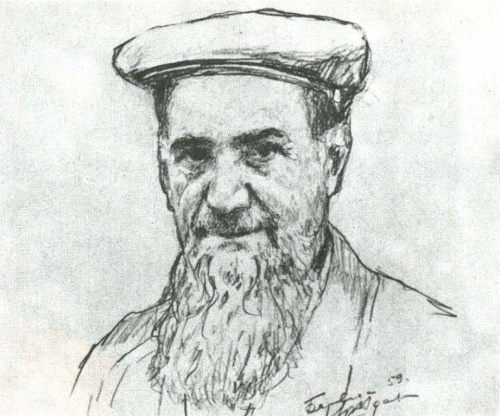 He invented all sorts of mechanisms, and attended molding club in the local art house, quickly achieved initial success: after only six months his composition “Papanin pupils” won an award at the city-wide children’s fine art exhibition. Once Yuri saw performance of young dancers. Since this all started. He realized, as an image, rich, expressive language of dance, firmly associated with music, art and literature. 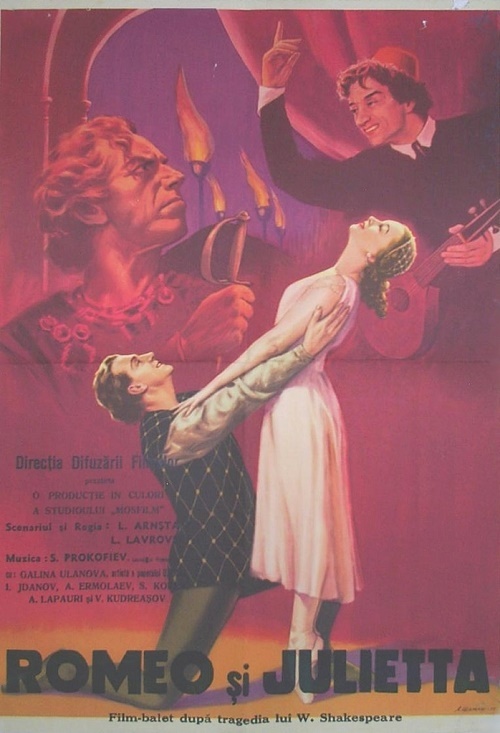 Natural data, hard work led to good results: in the fall of 1938 a young man was a student of the Moscow Choreographic School, and in December of 1941 admitted to the Bolshoi Theatre. – I saw you on stage, it was nice to see how you danced in the polonaise. I promise you a great future. You just need to work hard, to read, to visit museums, go to the theater, listen to music, in a word, to educate yourself. This advice of Zimin the artist followed the rest of his life. A prediction of Sergei Ivanovich came true: for many years the People’s Artist of the RSFSR Yuri Zhdanov, acted lead roles in ballets on the famous stages. 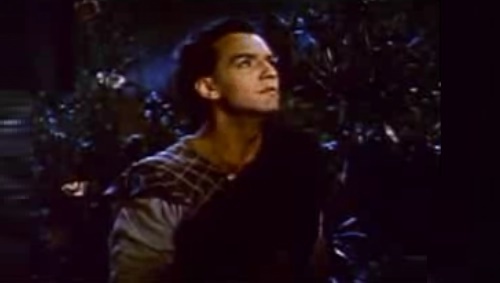 Bright romantic beginning, honed skills Zhdanov united with sublime heroism and light lyrics. Young Zhdanov traveled a lot. Dardanelles, the Aegean and the Mediterranean Sea … He was struck by the beauty of nature. He returned to Moscow in the winter. Three days later he was walking along Kropotkinskaya street. It was cold, he ran to bask in the building of the Academy of Arts. And there was a mesmerized exhibition of paintings. Landscapes recalled what he saw during a recent trip. He immediately bought brushes, paints and all free time devoted to the fine arts. First, as the amateur artist, and a few years later became a master – thanks largely to his teacher, excellent painter and teacher Grigory Shegal. In 1967 Zhdanov became the member of Union of Artists of the USSR. 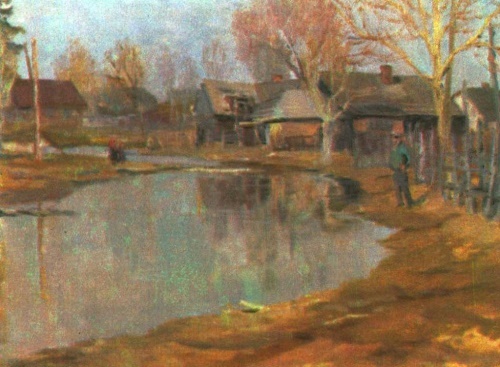 While working on the sketches, Zhdanov managed to capture the essence of nature, to convey mood. She loves landscape, portrait, still life, genre. He prefers to paint in oils and tempera. He works with enthusiasm, an avid interest. No matter how passionate he is about landscape, keenly feels the taste of the air, weather conditions, hears the rustle of grass and leaves, the lapping of waves, the voices of people – sensitively perceives the whole range of imaging features. He knows how to subtly convey the uniqueness of the geographical environment, unique to this place of the globe. Here is his series of Cuban Studies. In it – noon, the port, single-storey house district of Casablanca. The artist understood the complex shades of gradation, avoiding bleaching or black, what happens during the operation in strong light. 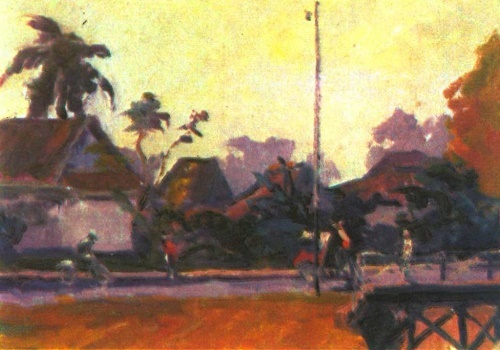 Landscapes of Indonesia and Cyprus, Paris and Prague, he portrayed different parts of these countries – in summer and winter, in the rain and blinding sun, at noon and in the evening. In each work, and there are hundreds of them, – the admiration of the beauty of the old towns and villages, folk festivals and everyday life. 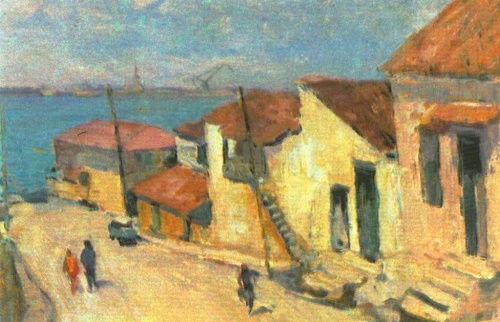 Perhaps the most intimate landscapes he painted at home. 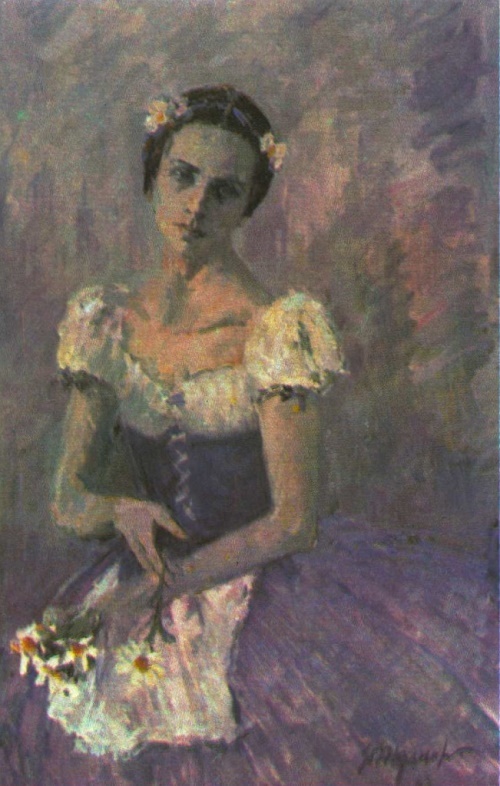 A particular area of ​​the artist’s work dedicated to ballet. “Behind the Scenes”, “Olya is tired”, “Dance of L. Sabitova” portraits of Bessmertnova N., N. Ananiashvili, A. Bogatyrev, and many others: talented artist makes unique in its kind “ballet suite”. Painter draws and the dance – movement, plastics, grace – and the spiritual world of his artist. In each painting the artist embodies the immense love to his colleagues in the profession, admired the perfection of man. Painter draws the dance – movement, plastics, grace – and the spiritual world of its artist. Yuri Zhdanov received his artistic education in the studio of the famous artist, Corresponding Member of USSR Academy of Arts GM Shegal. Since the beginning of the 1950s, he regularly took part in all-Union and international exhibitions of Soviet artists, had more than fifteen solo exhibitions in our country and abroad. More than 150 works by Yuri Zhdanov – paintings and drawings – are in museums in our country, about 600 works purchased by private collectors in Russia, England, USA, Germany, Italy, Japan, Finland and Greece. After the death of Zhdanov his fame as an artist has been increasing more and more. Creativity of Zhdanov was featured in the TV film “Yuri Zhdanov. Pages of life and ballet” (1988).